London: Arundel Society, 1860. Half Leather. 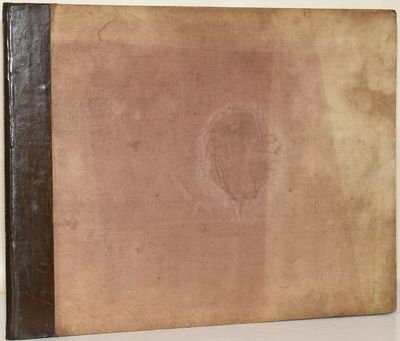 An oblong elephant folio binding, with attractive plates taken from the Giotto frescoes in the Arena Chapel in Padua. The plates are sepia tinted with wide borders; there is foxing to the borders but the plates themselves appear clean. Despite the title page, this edition does not appear to contain Ruskin's explanatory text. There is some soiling to the endsheets and the hinges have been reinforced; some fade to the boards.